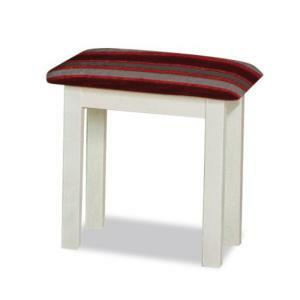 Padded stool with solid beech wood structure. Suitable for home but also for the contract. Opera Boheme low stool is made in solid beech wood padded on structure. Combining one of the proposed fabrics it become very intriguing for an certainly original object and aesthetically interesting. Thanks to the sinuosity of its curves it fits perfectly with any table. Fascinating for its lines, makes no distinction between classic, modern and rustic style; it settle perfectly in any type of environment. Due to its characteristic of being a comfortable stool is researched and recommended not only for the home environment but also for the contract ... in short, the stool for bars and restaurants! MINIMUM ORDER 2 PCS.